Beer + pizza + Godlike Genuis Johnny Marr onstage with Ronnie Wood = welcome to the greatest party on earth! Full coverage of absolutely everything that happened on the night. Interviews with the winners – and the losers, and all the gossip from backstage. Also featuring Florence Welch, Hurts, The Killers, The Cribs, Foals, Paul Weller, Miles Kane, Palma Violets, Blur, Idris Elba, Biffy Clyro, Arctic Monkeys, The Vaccines, FreshMeat, and FOUR amazing posters… you daren’t miss this. Noel’s latest big opinion is on David Bowie’s amazing comeback. You can breathe a sigh of relief because… He’s a fan! “Did his f***ing cat direct his new video?” he asks. He means that in a good way, yeah? In other Gallagher news, Beady Eye producer Dave Sitek admits that he’d never heard of Oasis. Yikes! Four months to go until Glastonbury is welcomed back into our lives with open arms for the first time since 2011. Emily Eavis is at hand to reveal all the new, exciting plans for the site and explain what daily life is like on the hallowed Worthy Farm. Merchandise Prepare To Play First Ever UK Show! Finally, the mindblowing Floridian trio that have been winning over NME hearts and minds are going to be gracing the UK with their presence. Lead singer Carson Cox talks about the new record ‘Total Nite’ and their live British debut in May at The Great Escape. “How can I forget Kylie Minogue?” Another rockstar suffers at the hands of memory loss. Kate Nash struggles to recall everything from which Buffy The Vampire Slayer episode she once recreated at a party to how many episodes of The Inbetweeners featured her debut single ‘Foundations’. The Flaming Lips frontman has been the centrepiece of many a bizarre moment: taking a hand grenade into an airport, offering fans the chance to take acid with him and Yoko Ono, being tattooed by Ke$ha, etc. NME asks him to explain all these and more. Albums from Hurts, Sound City Players, Wild Belle, Post War Years, Steve Mason, Devendra Banhart and… Johnny Depp! ALSO! 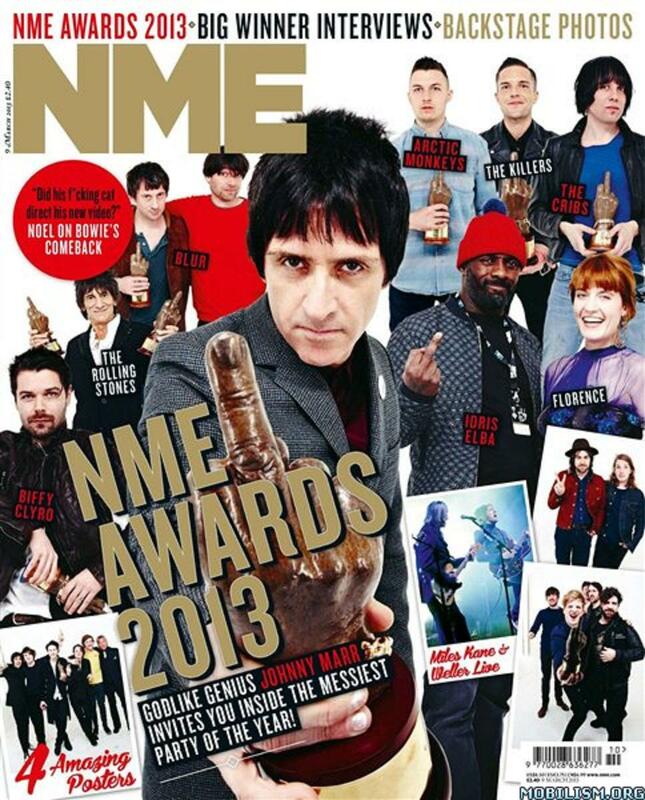 Live shows from Savages, Jagwar Ma, The Cribs, Deap Vally, Drenge, Doldrums, Blaenavon, Tim Burgess, Fidlar, Hookworms, Chvrches and the final night of the NME Awards Tour 2013. AND Interviews with Neon Neon, Paul Banks and Mo.